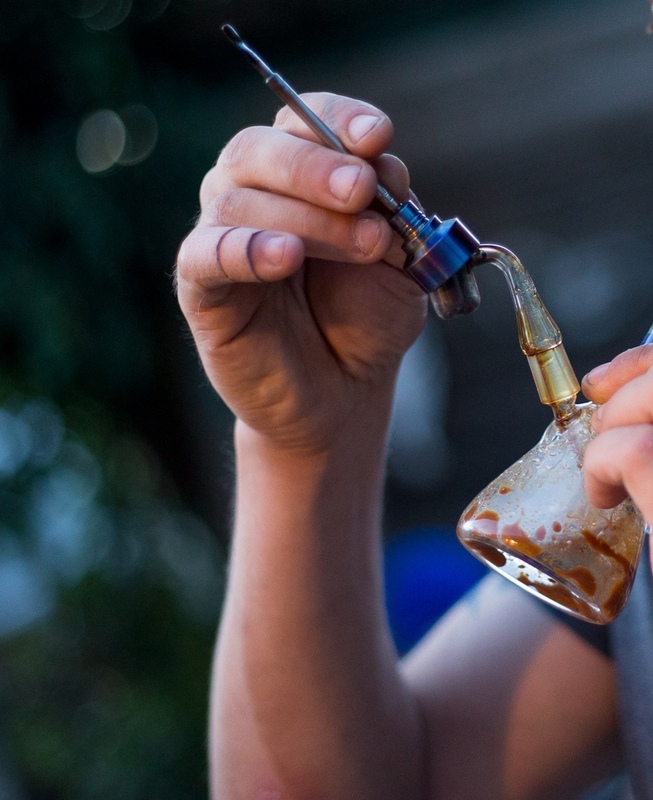 “My son does dabs (marijuana concentrate) all day every day. It is almost impossible to tell when he is high. We have tried rewarding him for positive behaviors but we just can’t figure out when he is high. He does about 30 dabs a day. It has ruined his life and he refuses rehab (we live in Canada. Our province likes harm reduction and outpatient. There are only 3 rehabs in our entire province). He also will not buy into the 12 steps. I am sure on this. What ends up happening is he gets rewarded while he is high. He is a master manipulator. The toll the dabs have taken is far reaching and highly concerning. Your son is always high. Marijuana can be an extreme drug, since its cost is low and its availability is great. Canada, like some states in the US, is legalizing recreational use, which just emboldens heavy users by making pot smoking even more culturally acceptable. I can well imagine your son staying constantly high with pot to the point you can’t differentiate between straight times and high times. Let’s apply the behavioral component of CRAFT to your situation. Your son appears to always be high. Without confronting him, and asking or accusing him of being high, your best guess is that he is always high and there is no period when he is straight enough for you to reward. Here’s how applying these three principles might look. 2) Remove rewards: What more can you take away? Pocket change? A place at the dinner table? Laundry service? Half-hearted peppy comments? 3) Allow natural consequences: Let things in his life fall apart. Are tasks left unfinished? Is he late for something? Let it be. Is he over 18? Can you transition him out of the house? The idea is to freeze him out. Any of these actions on their own won’t change the world, but taken together over time they isolate your son, they pair his use with family members disengaging, they signal that life is less good when using. In the longer term, you might consider whether to continue providing the big rewards, such as lodging and meals, cell phone, access to a car….. Removing rewards, disengaging, and allowing natural consequences are the three things under your control. The research shows that this affects behavior. The family needs to keep it up as best as they can and as consistently as they can, in the face of a loved one’s intoxicated state. Over time, this works. While moments of not being high are currently rare or nonexistent, remain prepared to see one and to know how to react. This is covered in Learning Module 5, available to our members (view an excerpt here). Perhaps a scrunch on the back or an invite to go out for pizza. Keep in mind you are guessing about his state, not asking. You won’t be 100% sure and you may get it wrong, but that’s going to occasionally happen. The question of the bigger picture and your part in it is worth repeating. If your son isn’t showing any signs of slowing down, then you are inadvertently supporting his use, with house, meals, etc. You are providing him valuable resources that subsidize his use, by increasing his discretionary income and making life easy and comfortable. It’s serious and will disrupt any progress in your son’s life. Anything you can do to renew your energy for addressing it by turning up the discomfort in his daily life will be important. It is what you can do. It is what is under your control. So to recap. We suggest you back away by removing yourself neutrally, removing more resources as is possible, and basically leaving him alone to deal with any consequence that happen as a result of his use. When you see use all the time, you want to try the principles of “when they are using” all the time (Learning Module #6 on our Member Site addresses what to do when your loved one is using). Being a family member of someone struggling with addiction is long-term and demands a high degree of consistency when responding to it. This is not easy at all. You won’t be able to do it perfectly. That’s okay. But sharpening up your stance, and getting other family members on the same page, is the goal.